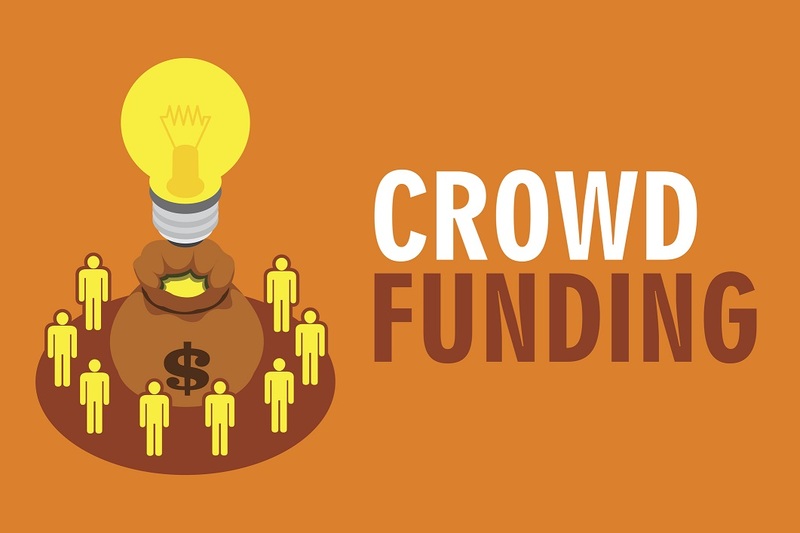 Crowdfunding can be defined as a collective cooperation of people who network and pool their money and resources together, usually via the Internet, to support efforts initiated by other organizations. Unlike angel investments, in which an investor takes a large stake in a small business, with crowdfunding, you can literally attract a "crowd" of people - each of whom takes a small stake in a business idea by contributing towards an online funding target. This spreads the risk among backers and creates a strong network of support for your business. Before choosing a platform, decide what type of crowdfunding will best fit the project. Rewards based? Donation based? Equity based? Then weigh the pros and cons of each platform to determine which one best matches the campaign's goals. Research similar projects and what platforms they did well on. Kickstarter is the most well-known crowdfunding site, but there are some drawbacks to using it. The site gives individuals a nice space to put their campaigns, but they provide no marketing help, and individuals must promote their projects to find backers. Fundable is an invite-only platform for businesses that charges a flat fee and helps guide early-stage companies through the crowdfunding process with profile creation, PR leads, investor contacts and other advice. The platform has 23,000 active angel investors, and hosts a maximum of 200 companies at one time. Also check out 40Billion.com, platform which specializes in promotion of small businesses, makes it easier by broadcasting and promoting to its large network of several million users across the most popular social networking sites for small businesses - including Twitter, LinkedIn, 40Billion, and even Facebook. Innovative services like promoted posts and promoted company listings were created for small entrepreneurs to tap into a growing, active network online without spending thousands on pay-per-click ads or traditional advertising. 2. Prepare before the campaign launch. An incredible pitch is crucial for crowdfunding and can make or break landing an investor. People have to be sold on you, your idea and your vision before they will ever invest in your business. Send your pitch to family and friends so you can get feedback and make any necessary changes. Once you perfected the pitch, start locating initial backers before launching your campaign. Set the campaign up for success before launch. Create a professional video, fine-tune the messaging and ask friends and family for their feedback and support on the launch day. The page needs to look professional and well thought out to bring in funding. When the campaign is ready for launch, everything is prepared and professional. Pre-pledges are commitments from those people who fully support your business idea and will be there to invest on day one when you launch your campaign. So, the project shows momentum from the very first day. Let your passion shine through! Think about ways to create a buzz around your business. Find out who your potential investors are well in advance of your listing and find out what entices them to invest. Once the campaign is live, share it with everyone to get the word out. Start with a big push on Twitter and Facebook and reached out to friends and family. Monitor social media closely to find new potential backers. Promote campaign on social networks and across personal networks. Regardless of the platform chosen, effectively market the campaign. Doing so many things may require professional help. Go to the experts to learn the ins and outs of crowdfunding marketing. Properly vet professionals and be careful about who is brought on to the project. 4. Get savvy about analytics. Numbers are the proof. It doesn't matter if the campaign has 10,000 followers and 20,000 likes on Facebook if they don't convert to pledges. Learn how to track the numbers to see how the campaign is doing and how it can be improved. On Kickstarter, for example, founders can access native analytics and use a Google Analytics tracking code. When using Twitter or Facebook ads, learn how to read and understand the sophisticated analytics dashboards. Know where pledges are coming from and how they can be increased. Crowdfunding opens up a new world of opportunity to startups. A crowdfunding campaign is convenient and has the potential to reach a wider range of investors, but it's not easy. With a little preparation and analytic work, a successful campaign can make startup dreams a reality. Crowdfunding sites are a strong stepping-stone for acquiring investors for a business. While for some it can be a viable option, entrepreneurs do need to conduct their due diligence to decide if this business funding option is best for them.